After Losing Her Dad, Caitlyn Ashley Found Her True Calling - Leigh Hilton P.L.L.C. 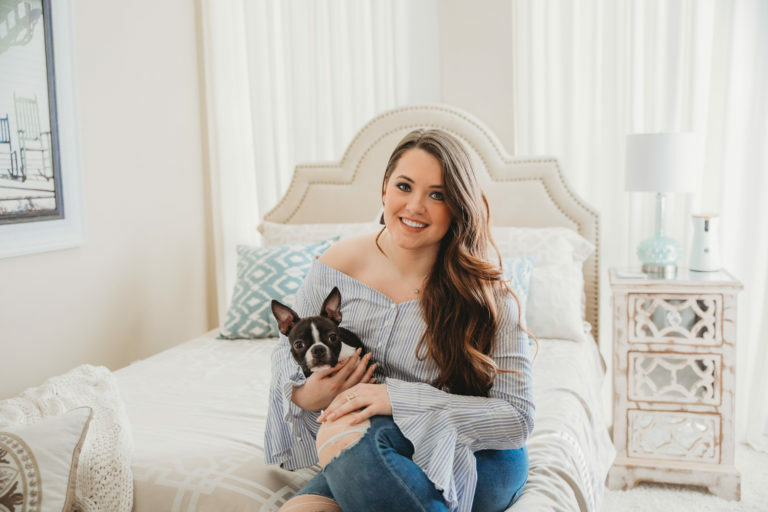 What should have been a senior year punctuated with signing yearbooks, making summer plans, and burning term papers, turned into a nightmare scenario for Caitlyn Ashley. Shortly before she was set to deliver her Guyer High School valedictorian speech, Caitlyn’s father died unexpectedly. Her heart was in shreds and her mind was in shock. This wasn’t the bright future she’d been working so hard for. This was a dark, scary night that wouldn’t end. How could she tell her senior class to look forward to what’s ahead when all she wanted to do was hide under the covers? She didn’t want the future. She wanted the past. She wanted her dad back. Nothing else mattered. Caitlyn’s dad, however, did care about her future. Immensely. He knew she wanted to become a lawyer, and he wanted to make sure her dream lived on—with or without him. That’s why, in his will, he named Caitlyn’s mother executor over her affairs until she turned 25. Now, Caitlyn is living her dream. She’s a lawyer. And she’s happy to be joining Leigh Hilton’s team focusing on probate law—a topic close to her heart. Prior to joining Leigh’s team, Caitlyn graduated from Texas A&M University School of Law, where she worked as part of the famed Innocence Project—an organization helping to exonerate wrongfully convicted individuals. She also served as Director of Communications for State Representative Poncho Nevarez, and as an extern for the Tarrant County District Attorney’s Office. See, her dad also had a great sense of humor. One of the many things she loved and missed about him.